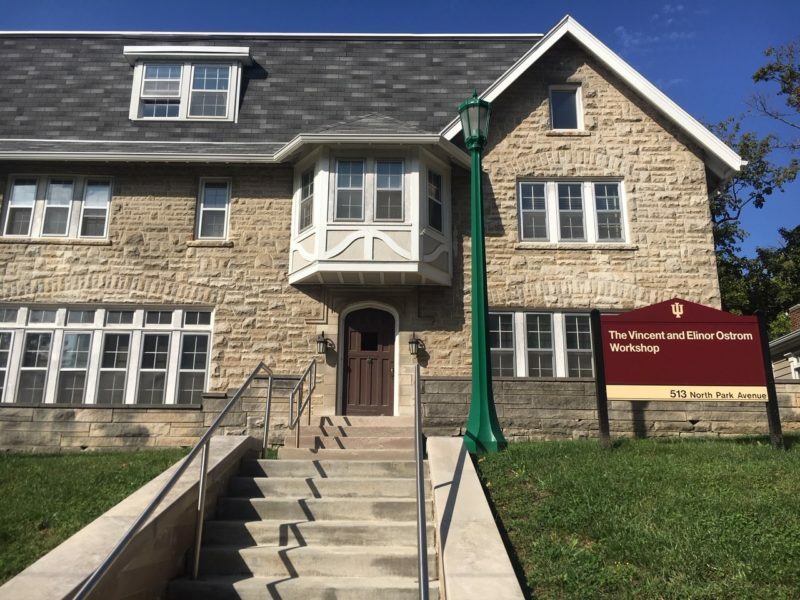 The Ostrom Workshop at the University of Indiana carries on the work of the late Elinor and Vincent Ostrom on governance and institutions. I was honored to be invited by the Ostrom Workshop to give the 3rd annual Ostrom Memorial lecture Wednesday, October 3. The lecture challenged the idea of sovereignty in cyberspace. Based on an analysis of the techno-economic features of the domain, it questions the desirability and practicality of sovereignty in cyberspace, and explores the applicability of global commons models to cyberspace. The full lecture, including audience questions, is archived and available for viewing here. The Ostrom Memo rial lecture was for me merely the highlight of a week of activities. On Monday we held a colloquium on IGP’s paper on institutionalizing cyber-attribution. That discussion, which raised useful questions about legal and incentive issues of an attribution institution, is also archived and available for viewing here. On Thursday and Friday the Ostrom workshop held a small conference on Smart Cities. This was an opportunity to meet a diverse and interesting group of people, including the chief privacy officer from the City of Seattle, a board member of a regional water authority in Virginia, tech journalist Doc Searls and his wife and partner in the Internet Identity Workshop and Sovrin Foundation Joyce Searls. Academics from Indiana U, Georgia Tech, Harvard (Berkman-Klein Center) and Virginia Tech rounded out the discussion. The Ostrom Workshop has become a beehive of governance-related research, workshops, colloquia and lectures. Directed by Lee Alston, it touches on a variety of Internet governance related topics, including Cybersecurity and Internet Governance (with the ubiquitous Scott Shackelford as program director), and Data Management and Information Governance (with Angela Raymond as program director), which includes a blockchain governance initiative.